As in 2012, my companion blog ANZ LitLovers is hosting Indigenous Literature Week during NAIDOC week (7-14 July 2013), and readers of this blog are also invited to join. You are welcome to contribute in any way that helps to promote reading indigenous literature. On the ANZ LitLovers blog, the focus is on literary fiction and the occasional memoir, but readers can contribute reviews of any kind of book, as long as it’s by an indigenous author. AS you can see from the sign up page you can contribute your review on your own blog, on a GoodReads or Library Thing page, or with a comment on the reviews page. I will also set up a dedicated Reviews page on this blog so that all the reviews of children’s books are together where teachers can find them. There’s a reading list for contributors wanting to read adult books at ANZ LitLovers and Emma from My Book Corner has kindly shared her list of indigenous literature resources for those who want to read children’s books. So, please, join in. Through the new Australian Curriculum cross-cultural Aboriginal and Torres Straits Islander Priority, every teacher is a teacher of Aboriginal history and culture, and most of us need to learn more about Australia’s First People. I’m hoping that this will be an imitative that grows and grows, and all teachers will read at least one book by an Aboriginal author each year, maybe more! A little while ago I posted about my curiosity as to whether or not there was a concept of ‘toys’ in nomadic lifestyles so I was very pleased yesterday when I stumbled across a whole book devoted to the topic. The Bayside Library Service at Sandringham deserves to be congratulated because it’s the only library in metropolitan Melbourne that I’ve ever been in, that has a dedicated section of books about indigenous issues. Amongst the treasures there, which include fiction and non-fiction books by indigenous authors; reference books; and books about indigenous issues by non-indigenous authors such as Dr Henry Reynolds and Dr Lyndall Ryan; I found Bush Toys, Aboriginal Children at Play, by Claudia Haagen, which was written for the National Museum of Australia in Canberra, to document their collection of artefacts. It is a scholarly work, and unfortunately the photographs are really too small to use with classes at school, but it is a very useful book for teachers interested in extending their background knowledge about the lifestyles of Aboriginal children. The new Australian Curriculum includes three cross-curriculum ‘priorities’, one of which is Aboriginal and Torres Strait Islander histories and cultures, and (as I said in my previous post) one of the science topics includes Year 2 students identifying toys from different cultures that use the forces of push or pull. 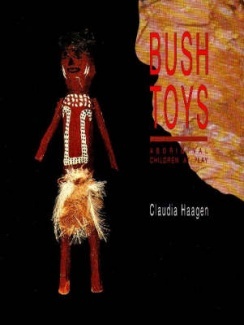 This book shows me that Aboriginal children did indeed have toys and games like that, and a wealth of others besides. Other toys: hoops, tick-cat and quoits; whimsical toys and other figures; driving toys (trucks, rollers and trailers). As you can see from the list, there are toys and games which may derive from contact with European children, but the collection is diverse, gathered from museums around Australia. It necessarily reflects records of Aboriginal societies constructed by Europeans over time, so the collection is incomplete and is filtered through European eyes. Any games that were associated with secret ceremonies would never have been revealed to European observers either. Not only that, but interest in the lives of children is a fairly recent topic of research and much of what is available has survived only by chance. This is especially so because many games were played without equipment (you only have to think of hide-and-seek or chasey) and most toys were ephemeral. They were often thrown away when the game was over; and if they were made from plants they soon degraded when exposed to the elements. In general, Aboriginal cultures did not focus on ‘keeping’ or ‘owning’ or ‘treasuring’ toys. Things were shared communally and left behind without regret when the community moved on. But what is common to all of these toys and games – and probably universally to toys and games from hunter-gatherer and pre-industrial societies all over the world – is the concept of ‘transformation’ – that is, taking an object from its environment and giving it a new purpose, for the purpose of play. As in European societies, as ‘adults in preparation’, children played with miniature versions of adult artefacts, often gendered : little canoes, shields, hunting weapons and fishing gear for the boys, while the girls had tiny versions of equipment needed to ‘play house’: they had cute dolls made of grass and string, painted with clay and of course they had mini coolamon to carry them in. For mimicking food-gathering they had digging sticks, bags and baskets (which put me in mind of those miniature supermarket trolleys we see today), and the book has a photo of kids who’d built a mini shelter to construct their little imaginary world – complete with a play fire pit to cook food. Girls played skipping games ‘before ever they saw the white man’s skipping-rope used’ (p.87) and Daisy Bates saw boys playing with marbles with a species of nut. They had slingshots too, and balls made of pandanus leaves, while both genders had toys for running, jumping and throwing, for messing about and for making a noise. Story games were used to teach unique aspects of their culture: there was a leaf game in which girls rearranged groupings of gum leaves to learn kinship relationships and the ‘right behaviour’ that goes with them. I have just bought a copy of this book from Fishpond to use at school (see the link below), but something the Australian Museum could very usefully do would be to set up a virtual exhibition that could be accessed by school children across Australia, using the photographic collection that they already have and curating it online with kid-friendly captions. Here’s another delightful book from indigenous publishers, Magabala Books. It’s due for release in early February. Certain to appeal to small children and just perfect for units of work about Australian animals, Spinifex Mouse is about a cheeky little spinifex-hopping mouse from the Pilbara region of Western Australia. Like all youngsters Cheeky likes to explore his world, but danger in the desert comes not just from predators on the ground but also in the sky. Skilfully controlled tension rises as Cheeky’s aerobatic exploits become more and more risky and his taste for exploration takes him further away from safety. Exquisitely illustrated with delicate water colours by Norma MacDonald from the Yamatji people of the Gascoyne Region and the Nyungar people of South West WA, the book is a gentle reminder to listen to the wisdom of the elders and not to be greedy. Like all good books about Aboriginal history and culture, the book acknowledges information about the indigenous origins of the author. Magabala is a non-profit publishing house based in Broome that aims to ‘promote, preserve and publish Indigenous Australian culture’. 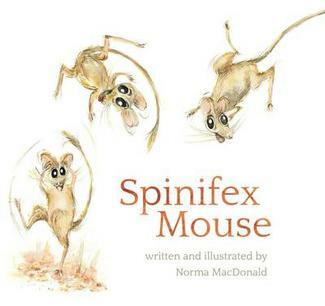 Fishpond: Spinifex Mouse or direct from Magabala Books. Bubbay, a young boy with no family lives alone in the outback herding his goats and camping out independently of any adult support. As Christmas looms he longs to celebrate it and wishes also for a family. 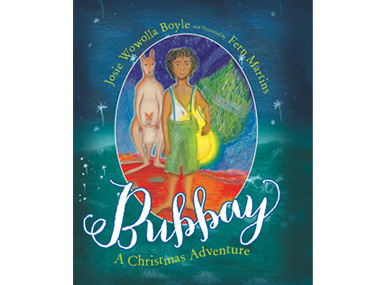 A Christmas tree magically appears in the desert but it sets him a quest which looks impossible – until the magical old Grandma Gubarlee arrives to lend a hand. He achieves his quest, and gets his dearest wish as well. So it’s a lovely story with a happy ending that evokes reconciliation, but it doesn’t gloss over the social dysfunction that derives from land dispossession and the Stolen Generation policies. Non-indigenous children will have questions about this which will need to be discussed with sensitivity. The illustrations are bright and colourful and the hardback book is produced on quality paper. Like all good books about Aboriginal history and culture, the book acknowledges all the contributors and includes information about the indigenous origins of the authors. Magabala Books have also just launched a literacy series of little books for take-home reading called Deadly Reads for Deadly Readers (Saltwater Series). They are simple graded texts with gorgeous colourful illustrations featuring indigenous children and art styles. For more information see their website. 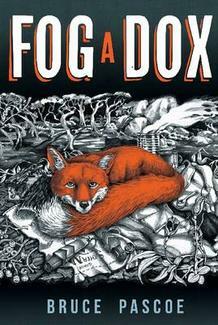 Fog a Dox is another addition to the reviews of children’s books which I’m contributing to Indigenous Literature Week that I’ve been hosting on my ANZ LitLovers Blog. 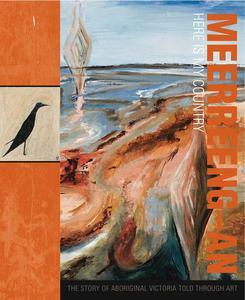 Bruce Pascoe, of Bunerong-Tasmanian heritage, is an award-winning indigenous author, editor and compiler of anthologies. (I have a copy of his adult novel Earth on my TBR and will be reading it soon.) In addition to writing a number of novels and non-fiction books for adults, he has also published a Wathaurong dictionary to support the retrieval and teaching of the Wathaurong language in south-western Victoria. His other children’s novel, The Chainsaw File, was released in 2011. Nothing like a good scratch, followed by a little sniff of the air, a glance at Albert, and then a little dog-think, which never took very long; food always looms too large in their mind and blots out anything but the thought of a bone buried near the woodheap – or was it under the verandah, or the apple tree? Oh well, I forget where, I’ll have to check them all. Albert would sometimes catch Brim as one of her thoughts evaporated under the dominant influence of bone memories and call out to her, ‘Lose concentration again, darlin’? It happens my furry princess, even to the best of brains. One minute we’re working out how many eight-bee-one planks in a sixty-foot log and next minute we’re thinking of rabbit stew. It happens, ol’ darlin’, and that’s a fact. That’s another one, Brim’s eyes signalled alarm, that’s … lotsa foxes. The cub that stays with Albert after weaning turns out to be a little miracle that changes a lot of lives. Cranky Dave performs a kind of Boo Radley role in the plot, but all the characters – despite their flaws – have that honest bush quirkiness that Aussies love to admire. The elements of indigenous cultural knowledge and awareness are lightly handled but respectful, and readers who love animals will be enchanted by this book. It would make an exciting film with a heart-warming ending, and is a good one for reading aloud and discussing with a class too. Like all good books about Aboriginal history and culture, the book acknowledges the Aboriginal heritage of the author and locates his country. I’ve been hosting Indigenous Literature Week on my ANZ LitLovers Blog so it’s appropriate that I review a couple of children’s books by indigenous authors here at LisaHillSchoolStuff. 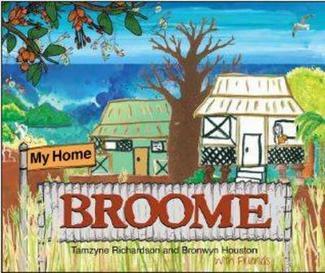 My Home Broome is an enchanting picture book which celebrates the multicultural community at Broome WA while also paying respect to the traditions and culture of its indigenous people. Exquisitely illustrated with bright and jazzy colours by Bronwyn Houston from the Nyiyaparli and Yindijibarndi people of the Kimberly, the book features a poem written by ten-year-old Tamzyne Richardson of the Yawaru and Bardi people. She wrote it when she was recovering from swine flu, and its publication became a community project involving twelve other students who worked with Houston to bring the poem to life. Chock full of fascinating snippets about Broome – its pearling industry, its wildlife, its bush food, its history and its enticing tourist attractions – My Home Broome is not just a lovely souvenir book or a book of interest to local children. It would also be a valuable addition to school libraries on the eastern seaboard because the mining boom has made Western Australia pivotal to the Australian economy, and many families relocate there for short periods of time to take up job opportunities. But that is not the only reason why this book should be walking off the shelves at bookstores across Australia. It is the only children’s book I’ve ever come across to explain Aboriginal seasons, and since these are mentioned as topics for study in the new Australian curriculum, My Home Broome is a valuable resource. It names the six Yawuru Seasons: Man-gala, Marrul, Wirralburu, Barrgana, Wiriburu and Laja, and anyone who’s going salmon fishing in the region can use this book to find out which is which because these seasons are defined not only by subtle distinctions in the climate but also by seasonal availability of flora and fauna. I live in a place where kids ride their bikes and meet on the street. I live in a place I know best. Tamzyne tells us on this page that a ‘bubbly’ is Broome-talk for a good mate, that the houses were built with shutters instead of windows to let in cool breezes and that the ones in Chinatown were built of stilts because of the huge tides. There’s also a delicious recipe for fish soup and rice to try out. Like all good books about Aboriginal history and culture, the book acknowledges all the contributors (which cheeky photos of the kids who worked with Bronwyn Houston) and includes information about the indigenous origins of the authors.